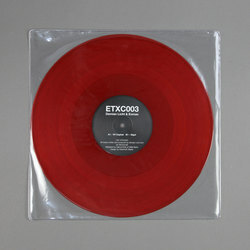 Demian Licht & Eomac - ETXC003. 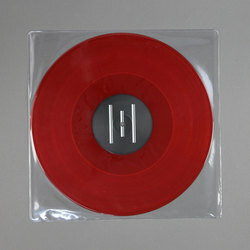 Vinyl 12. Bleep. The next releases on Eotrax will round off a busy 2018 for the label and set out an exciting proposition for a future way of working and releasing music. In what will be an ongoing, curated collaboration series artists will be invited to make work together for the label, without restrictions on genre, style or aesthetics. An open environment of collaboration and experimentation which will then be released by the label. Third in the series is from Mexican producer, film director and Motus Records owner Demian Licht and Eomac. Over two tracks they have a created a rich tapestry of of disparate ideas that manage to flow and move together harmoniously. The A-side ‘VV Cephei’ combines processed choral samples with rhythms at different tempi to paint a picture of far off galaxies, light particles travelling forever through space. The B-side ‘Algol’ continues this trajectory into the deepest, darkest reaches of known and unknown universes. With records already out from Paula Temple and Seán Carpio, the series will close in December with the final chapter from sonic renegade Kamikaze Space Programme.